One of the toughest things to troubleshoot is a cloud application error - but when end users are affected, it is essential to pinpoint the source of poor app performance quickly. 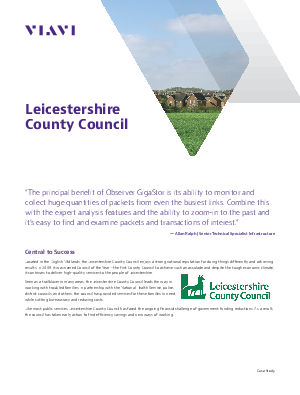 Like most organizations, the Leicestershire County Council relies on its technology to deliver services to over 650,000 residents and 5,000 employees. However, when a random disconnect of some of their business-critical cloud applications began affecting productivity for dozens of users every day, they knew they would need to do some detective work to find the issue. Download this case study and find out how Senior Technical Specialist, Allan Ralph and his team found help from a trusted partner, isolated 3 failing transactions, and improved user experience.